As the end of Lent is today, I thought it would be more than appropriate to share one of my favorite poems. Often, some Christians make the assumption that being a Christian means you have to live perfectly, free of mistakes. When actually, it is quite the contrary. 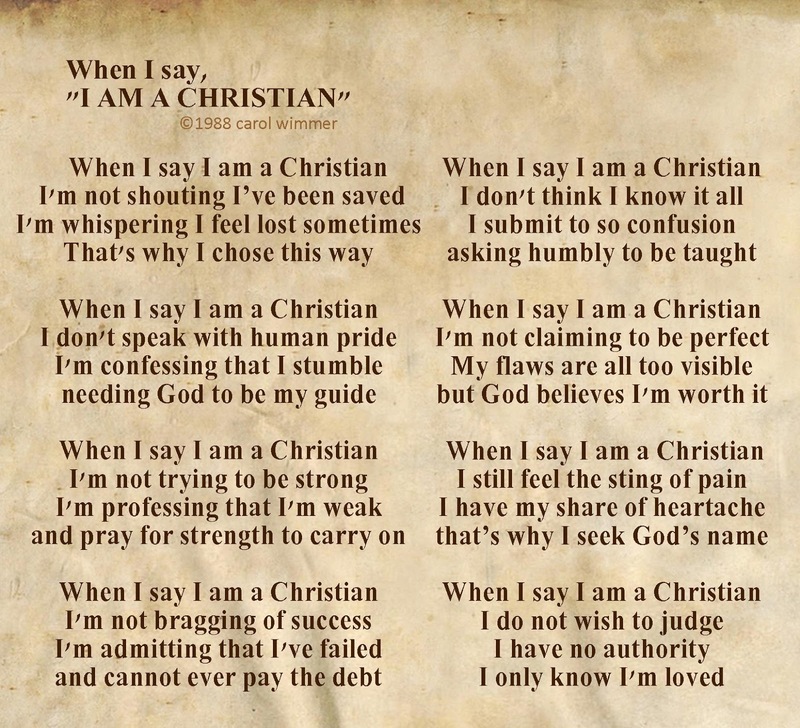 I share this to say that if you are not perfect and you are Christian, its okay! I am not perfect either. I am not free of mistakes. I do not walk the perfect path. None of us do! Hope this inspires you to walk in your own truth. Only you, God and Jesus Christ knows your truth!